Welcome to a spectacular home sitting on top of the world! 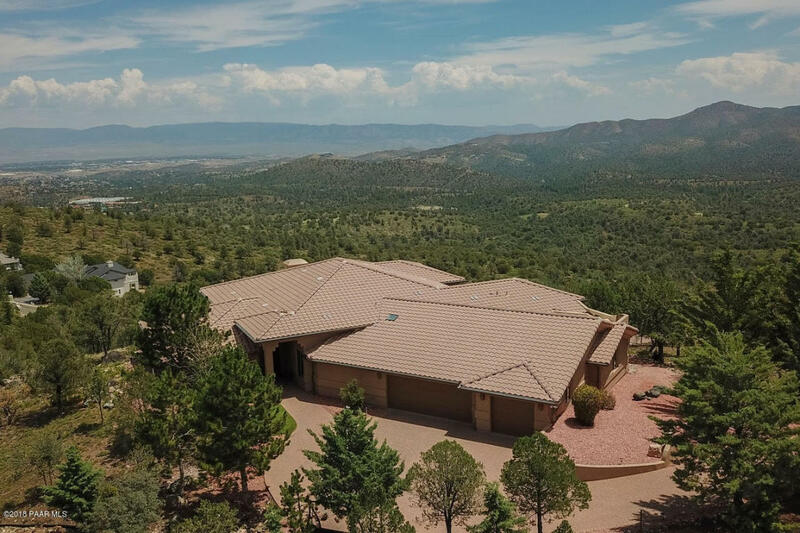 With 180 degree views, this beautiful 3,636 square foot SINGLE LEVEL home sits on one of the best lots in all of Prescott. With a complete remodel done in 2016, you will find new windows & doors, a Chef's kitchen, home office, a new radiant in-floor heating system, new custom cabinets and granite countertops, new flooring, appliances (including a 48'' Mercury by AGA Induction Range), plumbing fixtures, surround sound, central vacuum, lighting, gutters, decking and much more. Please email for complete list. NOT included in the square footage of 3636 is an 820 (approx) heated and cooled workshop and craft studio with dust collection system, a 1/2 bath with sinks, new flooring and windows.